Smart Lipo Specials Going On Now! Men and women from all over the country come to Chicago to see Dr. Truong. His amazing results earned him the reputation as the "breast & body specialist," that's why he named his Chicago center, Chicago Breast & Body Aesthetics. Given that Smartlipo™ is a relatively new procedure in the cosmetic surgery world, it’s natural for patients to have questions about what the procedure can do for them. At Chicago Breast & Body Aesthetics, cosmetic surgeon Dr. Anh-Tuan Truong will take time to address any questions you have so you can feel comfortable about moving forward with liposuction. Some of our clients’ most frequently asked questions are listed below, but please don’t hesitate to contact us for more information. "Why Choose Smart Lipo (Smartlipo™)?" It's less traumatic and a more uniform removal of the fat. Smartlipo™ (referred to as Smart Lipo, Laser Liposuction, and Smart Liposuction) utilizes the latest laser technology to transform fat into liquid which is then removed from the body via liposuction through tiny incisions. Unlike traditional Chicago liposuction, which removes globules of live fat cells using suction, the Smartlipo™ laser disrupts the fat cells and liquifies the fat prior to removal which allows for a less traumatic and more uniform removal of the fat with smaller cannulas. An additional benefit of the laser is that it coagulates the tissue for less bleeding and heats the underlying skin which results in skin-tightening or a "shrink wrap" effect. The laser element also helps to ensure more precision during the procedure and finely target the problem area. Research for yourself and find out why, in the right hands, Smartlipo™ has one of the highest satisfaction ratings of any procedure on patient review websites such as, RealSelf.com. Dr. Truong is a board-certified surgeon who is thoroughly trained and experienced in the Smartlipo™ procedure. "Am I a good candidate for Smartlipo™?" Dr. Truong can help you decide. Good candidates for Smartlipo™ will be in mental and physical health. Candidates will have reached a healthy weight through diet and exercise before their consultation. Smartlipo™ is ideal for contouring those stubborn areas of fat that don’t respond to lifestyle modifications. Smartlipo™ can’t remove large quantities of fat, but it can help tighten up your figure and help reveal the shapely physique that you worked so hard for. "What makes Smartlipo™ different from regular liposuction?" Dr. Truong will use a focused laser to disrupt and loosen fat cells. Regular liposuction uses a combination of tumescent solution and cannula suction to loosen and remove fat cells. Smartlipo™ (also known as laser liposuction) works a little differently. Dr. Truong will use a focused laser to disrupt and loosen fat cells at your treatment site. These cells can either be removed from the body with a cannula, or left behind to be reabsorbed by the body’s natural processes. The laser is what sets Smartlipo™ apart – laser procedures can provide subtle contouring without excessive tissue damage or the need for general anesthesia, two common concerns with traditional liposuction. "Can Smartlipo™ help me lose weight?" No, just like traditional liposuction, Smartlipo™ is not a safe method of weight loss. Patients should have already reached their ideal body weight before their procedure, allowing Dr. Truong to assess potential problem areas and treat them accordingly. Smartlipo™ is an effective way to shape your body, but it cannot remove substantial amounts of fatty tissue. "How long will my contouring take?" Procedures generally last only a couple hours. One of the benefits of Smartlipo™ is its speed – procedures generally last only a couple hours. The specific length of your procedure will depend on your physical condition and the size of your treatment area. Smartlipo™ is performed on an outpatient basis without the need for general anesthesia, meaning that you’ll be back home and on your feet the very same day. "What should I expect during recovery?" Most patients can expect mild to moderate discomfort. Although every patient responds differently to the Smartlipo™ procedure, most patients can expect mild to moderate discomfort, swelling and sensitivity near the treatment site. Dr. Truong may recommend compression garments or specific medications to accelerate the healing process and ease your discomfort as much as possible. Two weeks of discomfort is typical, after which your symptoms will begin to subside and your results will start to become visible. "Will there be any scarring?" The incision needed is very small. As with any procedure that requires incisions in the skin, some scarring will be present. However, the incisions needed to insert the cannula and remove treated fat cells is very small. Most patients can expect some mild discoloration at their surgery site, but scars are generally very minimal and tend to fade with time. "How long will it be before I see my results?" The results of Smartlipo™ will need some time before they become visible. The results of Smartlipo™ will need some time before they become visible. Although you may begin to notice some subtle differences in your figure as your swelling subsides, the final results of your procedure will likely need several months to half a year before they can be seen. The final results of your Smartlipo™ procedure will depend on the size of your treatment area, your physical condition beforehand and how well you maintain your healthy habits after. With the right physical care and lifestyle choices, you’ll be able to enjoy the benefits of your Smartlipo™ treatment for years to come. How much is a Smart Lipo in Chicago? We are very competitively priced. However, price shouldn't be your deciding factor because it's not just the medical equipment that performs the procedure. It's the technique and skill of the doctor doing it. Dr. Truong uses a specialized technique that flows with your natural curves and body lines. He also provides thorough consultations where you can be very descriptive about the results you are hoping to get. We offer several options for financing to fit almost any situation! Ask your coordinator for details! 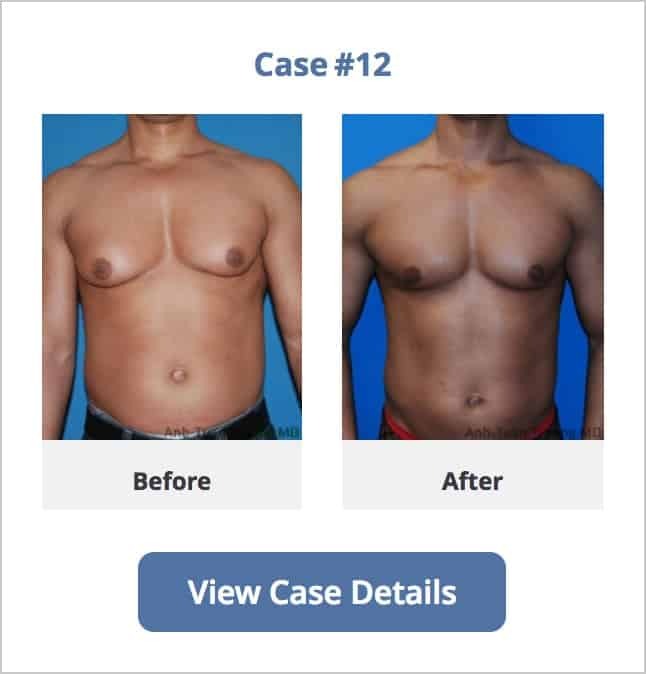 Dr. Truong's before & after gallery is second to none, with years of experience, 100s of surgeries, and zero serious complications, it's no wonder he's known as the "Breast & Body Specialist." Imagine your clothes fitting just right . . . Imagine how good it would feel to go to the beach or the pool!